They say the best way to become a great service designer is to participate in as many service design contests and hands on happenings as possible. 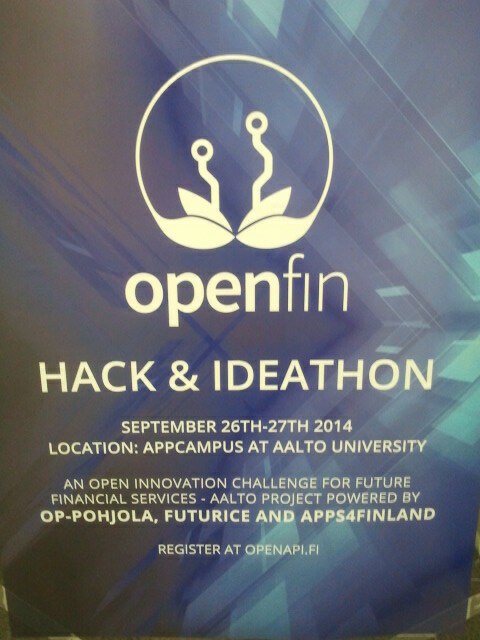 It was what I thought when Minna Myyryläinen, one of my SID Laurea fellow students, brought the idea to join the openfin Hack and Ideathon competition in Espoo. 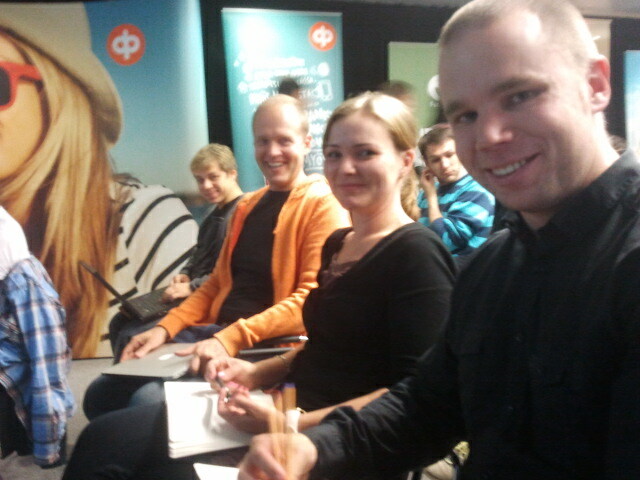 Finally our team, addition to Minna and me, included Antti Kytö and Jaakko Porokuokka, all SID13 Laurea students. I knew – despite none of us being a real hacker in code – this team could do anything related to creating awesome business concepts using our service design methods and toolkits. Luckily later the hacking part was completed when I persuaded my colleague and friend Lassi Jatkola to join our team. Before the event itself the team studied trends and innovations in the financial sector and shared views and ideas through chat. On Friday 26th the team gathered to the app campus premises and prepared itself for the 22 hour challenge ahead. Me and Jaakko had already agreed to stay overnight at the app campus as it was offered as a possibility by the competition rules. Aalto OpenFin project manager Mojtabaei Renani Mahnoush said the welcome words and wished all participants good luck. Next was Juha Viljakainen’s, from OP-Pohjola, time to give some background on OP-Pohjola and the financial service sector generally, its history and challenges. business ecosystem infrastructure innovation zone. The competitors would be evaluated by financial aspect, market potential, business model viability and how realistically it could be implemented. In addition presentation with surprise factor and impressive demo would get extra credits. Final word was given Futurice’s Riku Valtasola, who explained how the business idea to concept works in the company he represents.